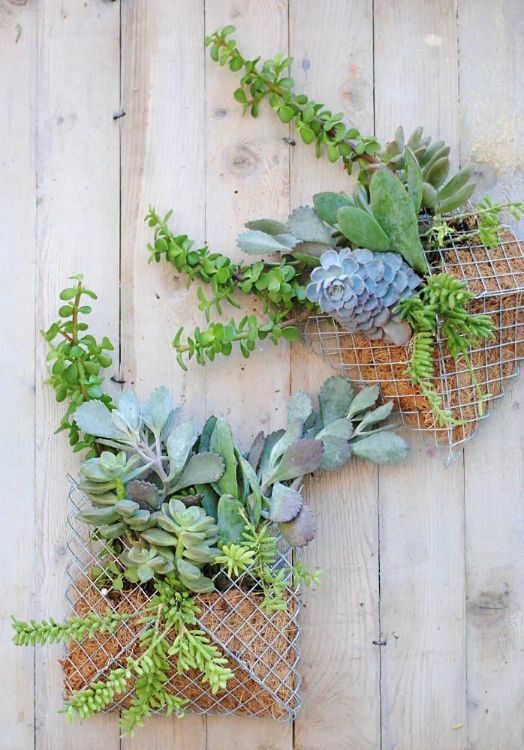 If you're always looking for the next trend, look no further - because chicken wire planters are here. These simple planters aren't just easy afternoon projects to take on; they're modern with a vintage twist that'll fit into just about any space you have. Here there're five projects from around the web that are going to show you how to make everything from succulent holders to sconces and flower umbrellas. You're going to want to tackle more than one of these, so if you've got a bundle of old chicken wire lying around - now's the times to put it to use. 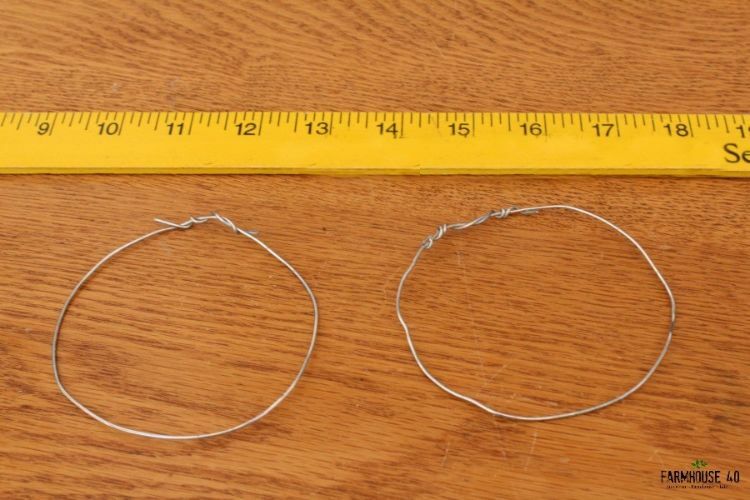 Chicken wire is simple to use, and even easier to get your hands on. 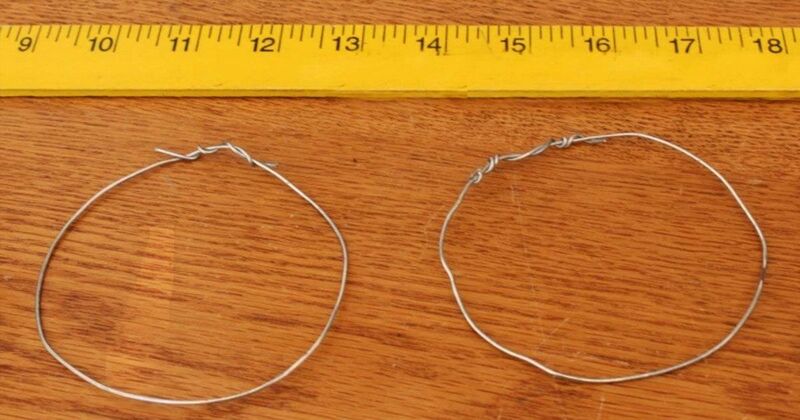 You will need a pair of wire cutters, though, so be sure to have those before you get started. The final result of this Farmhouse 40 project is a simple and rustic little planter that makes the perfect the perfect table setting, or outdoor pot. You can gift these little planters as they did at a dinner party - but be warned, you'll want to keep them all for yourself. We adore this Tired & True project because it's so versatile. 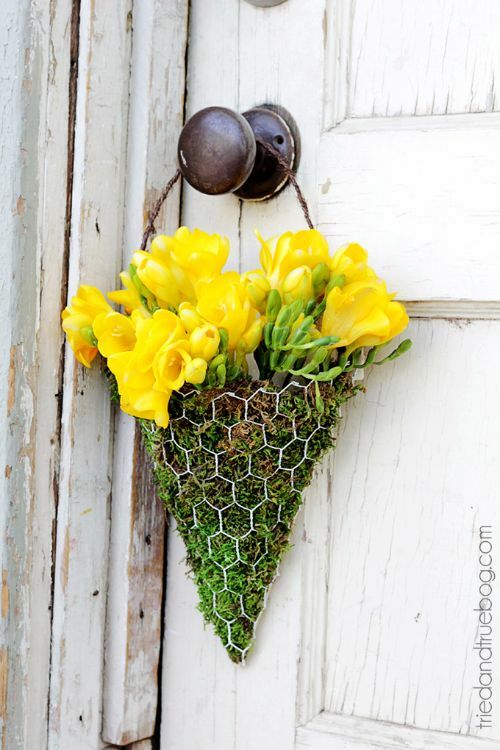 Stuff it with moss and daffodils for the spring, and come winter fill it up with holly leaves and pine branches. Complete this DIY just once and you've got a year-round sconce to go with you throughout the seasons. Succulents are all the rage right now. But instead of stuffing them inside a pot like everyone else is, create a living piece of art for your wall with this Apartment Therapy project. We also love how they've tilted the pocket planters - creating both square and diamond shapes for some variety. This Organized Clutter project reuses the frame of an old mirror to hold potted plants, but you can use everything from an old door to a battered window. 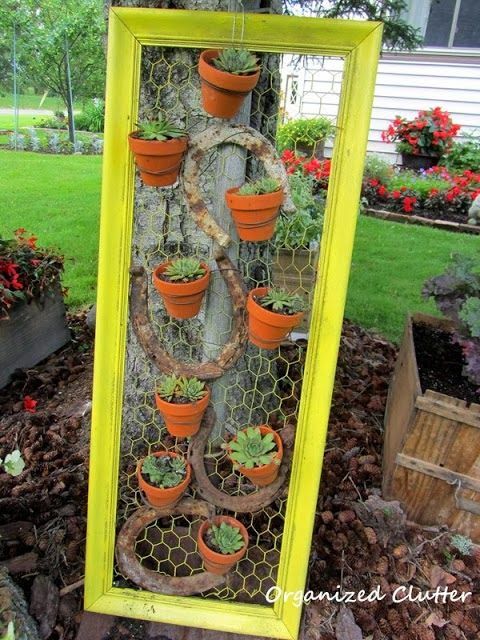 Whatever frame you decide to use, your pots are going to look perfectly pretty hanging there. This Pinterest project looks like something out of a fairytale. 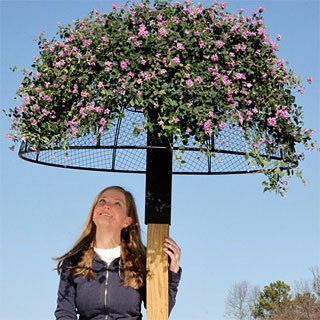 An umbrella planter is going to be a stunning addition to your backyard, and if you make it big, enough it's going to be the perfect shady spot to relax with a good book. 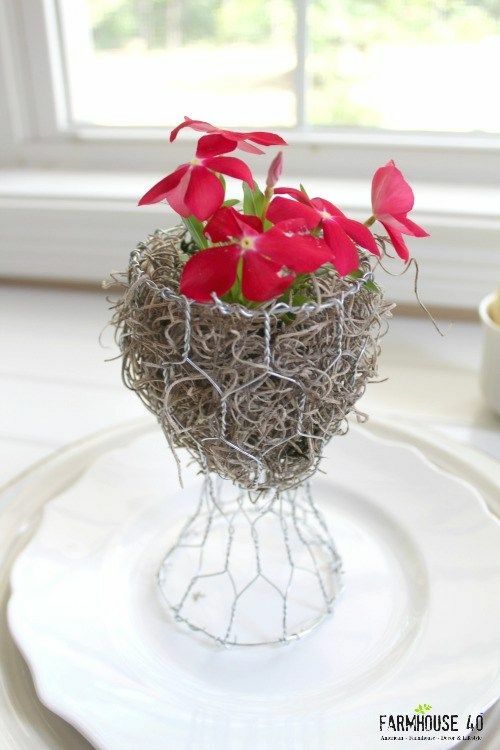 Share these simple and beautiful chicken wire projects with your friends on Facebook, Twitter, and Pinterest.